Along with a complimentary river cruise, staying at the fantastic Holiday Inn Regents Park, will be a great introduction to London. Stay in a famously tranquil oasis within the dynamic and bustling capital - you'll be right by Regents Park itself. Your hotel is the epitome of comfort and unpretentious class, where you can enjoy endless services. Our members will dine on a breakfast basis and will get to cosy up in a Standard Double Room after a day of sightseeing. London's vociferous mix of grandeur, history, style and culture seems to get more enticing by the year. It charms with leafy Royal parks, free world-class art galleries and frothy ale amid wood-clad pubs; it intrigues with ancient streets and grand architecture and excites with the neon-lit West End, designer shopping and an innovative dining scene that has become one of the richest in the world. 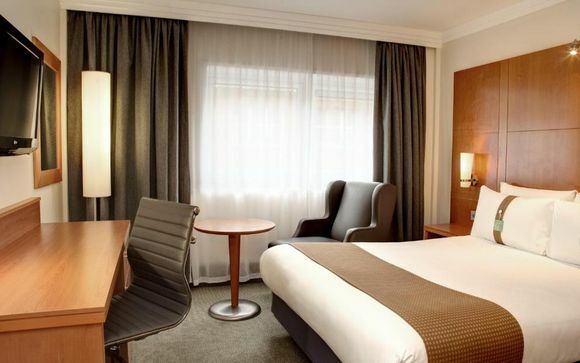 Close to three iconic London landmarks including Regent’s Park, this four-star hotel offers an excellent location for your stay in the capital. 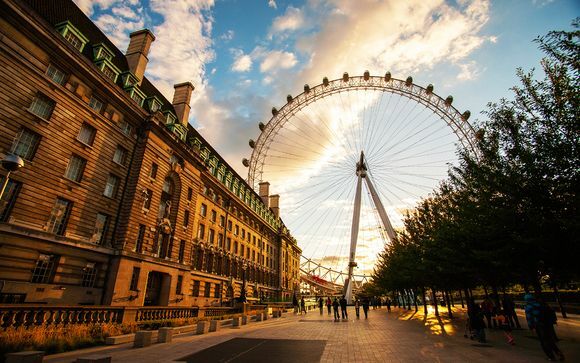 Heading to London on a fleeting work trip or for an exciting city break? 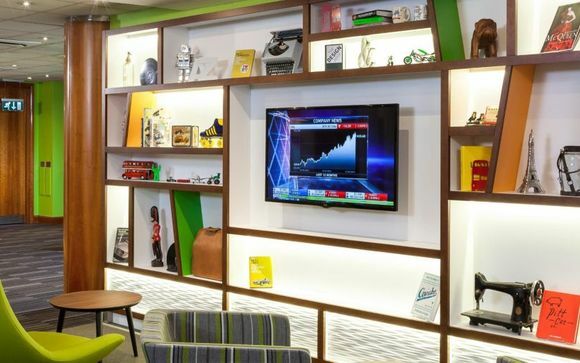 Stay in the heart of the bustling capital and enjoy a range of homely, four-star comforts at the Holiday Inn Regents Park. You'll be situated just a few minutes walk away from the popular park itself, and you will be well connected to other parts of the city as a range of tube states are a convenient distance away from the property. This hotel offers everything you need for a comfortable and relaxed stay. Make the most of the on-site bar, restaurant and 24-hour reception. There's also room service - so you can do as little or as much as you please whilst here. Boasting all the great benefits of a major city hotel, this hotel offers up comfortable and contemporary double rooms, which feature a luxury toiletry, a pillow menu, in-room heating, Wi-Fi and more! 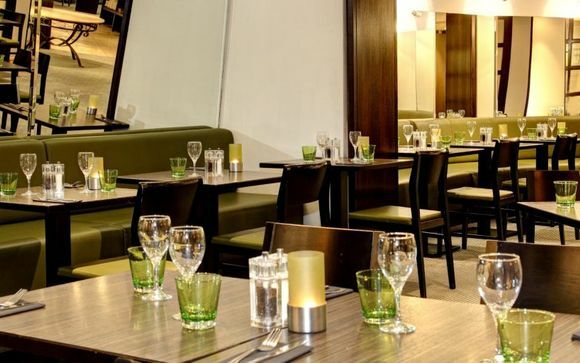 Enjoy a relaxed set up at this hotel including restaurant or bedroom dining. Here, guests can enjoy a delicious breakfast and later a range of traditional British classics at The Grill Room. Why not cap it all off with an evening drink at the comfy bar? - Its the perfect place to unwind after a busy day. 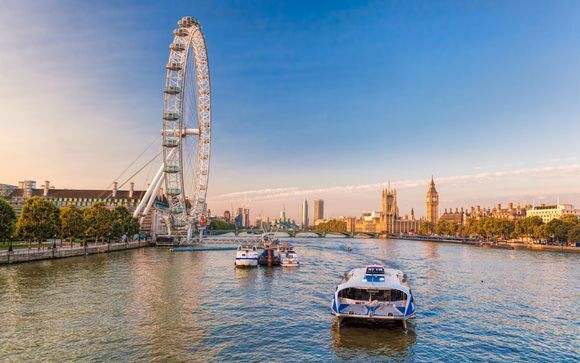 This offer includes a Thames River Cruise for 2 adults from Westminster to Tower Bridge. If you are travelling to the EU after 29 March 2019, you must ensure your passport is still valid to travel on as new rules may apply according to when it expires. Distance from Great Portland Street Underground Tube Station to Holiday Inn Regents Park 4*: 300 m / 4 minutes walk.